A comprehensive battery of psychological tests is available for children ages six through fourteen who may be experiencing significant psychological disorders or emotional difficulties. A full battery of testings can be helpful for developing a comprehensive treatment plan or an additional resource for the child who has not been responding to traditional treatment approaches. It is often helpful to complete comprehensive battery of tests that assess intellectual ability, academic achievement in reading and mathematics, and screen for Attention Deficit Hyperactivity Disorder (ADHD), and other behavioral and/or emotional disorders. Psychological evaluation for adults can take many forms and serve many purposes depending on the nature of the difficulty. Testing can help adults to gain more depth in understanding their emotional difficulties and zero in on the areas that can be examined and improved. Psychological testing can also uncover undiagnosed disorders such as ADHD or learning Disabilities, identify factors in employment decisions, or develop different treatment approaches. Psychological evaluations for adults can be individually tailored to meet the specific needs for the client. ﻿The Wechsler Intelligence Scale for Children (WISC), developed by David Wechsler, is an individually administered intelligence test for children between the ages of 6 and 16. The Fifth Edition (WISC-V; Wechsler, 2014) is the most current version. The WISC-V takes 45–65 minutes to administer. It generates a Full Scale IQ (formerly known as an intelligence quotient or IQ score) that represents a child's general intellectual ability. It also provides five primary index scores: Verbal Comprehension Index, Visual Spatial Index, Fluid Reasoning Index, Working Memory Index, and Processing Speed Index. These indices represent a child's abilities in discrete cognitive domains. Five ancillary composite scores can be derived from various combinations of primary or primary and secondary subtests. The Minnesota Multiphasic Personality Inventory (MMPI) is a standardized psychometric test of adult personality and psychopathology. Psychologists and other mental health professionals use various versions of the MMPI to help develop treatment plans; assist with differential diagnosis; help answer legal questions (forensic psychology); screen job candidates during the personnel selection process; or as part of a therapeutic assessment procedure. The original MMPI was developed by Starke R. Hathaway and J. C. McKinley, faculty of the University of Minnesota, and first published by the University of Minnesota Press in 1943. It was replaced by an updated version, the MMPI-2, in 1989. A version for adolescents, the MMPI-A, was published in 1992. An alternative version of the test, the MMPI-2 Restructured Form (MMPI-2-RF), published in 2008, retains some aspects of the traditional MMPI assessment strategy, but adopts a different theoretical approach to personality test development. The Woodcock–Johnson Tests of Cognitive Abilities is a set of intelligence tests first developed in 1977 by Richard Woodcock and Mary E. Bonner Johnson. It was revised in 1989, again in 2001, and most recently in 2014; this last version is commonly referred to as the WJ IV. They may be administered to children from age two right up to the oldest adults (with norms utilizing individuals in their 90s). The previous edition WJ III was praised for covering "a wide variety of cognitive skills." 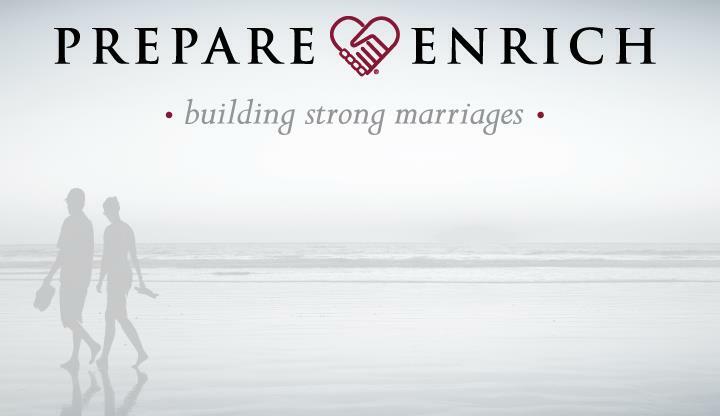 Prepare-Enrich Assessment - The importance of building strong marriage cannot be emphasized enough. Prepare-Enrich will help you see how you are different from your partner. It will suggest ways for you to build a healthy relationship embracing the differences and disagreements. The assessment can be done in Korean, English, Spanish, German, Italian, Japanese, Portuguese.